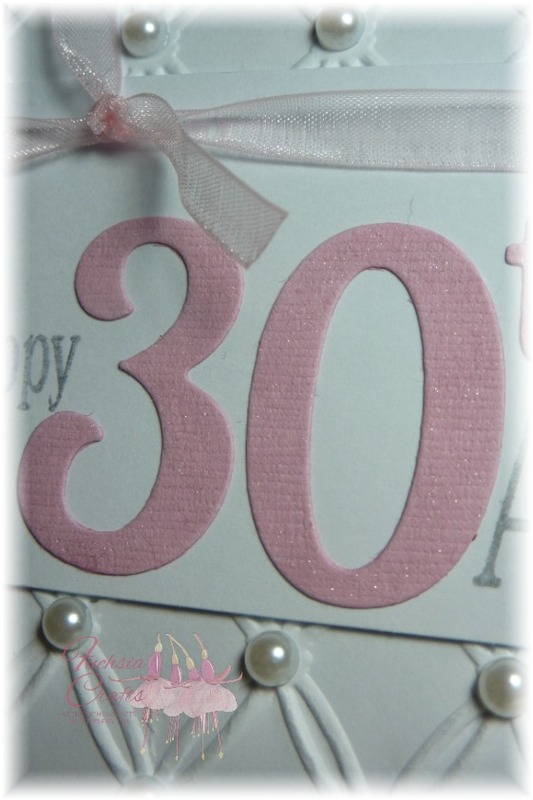 Stamping with Promarkers – Take 2! 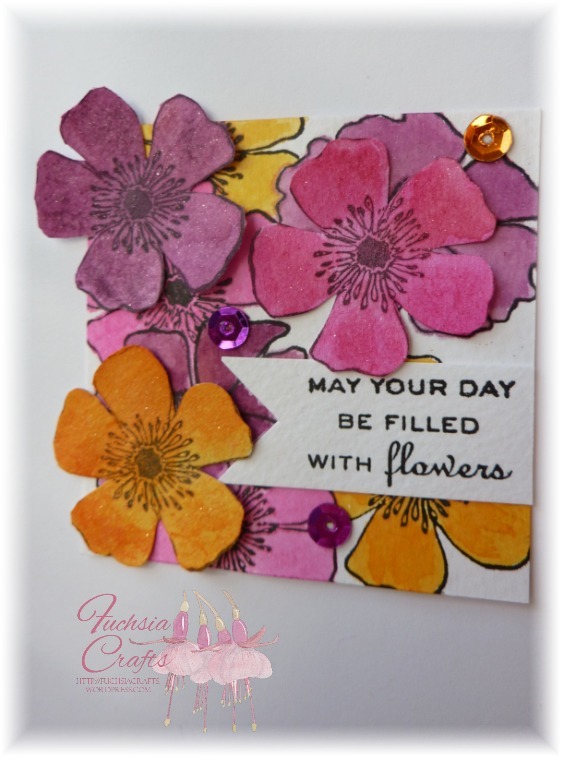 This photo was inspired by the sketch over at Inspired by Stamping. 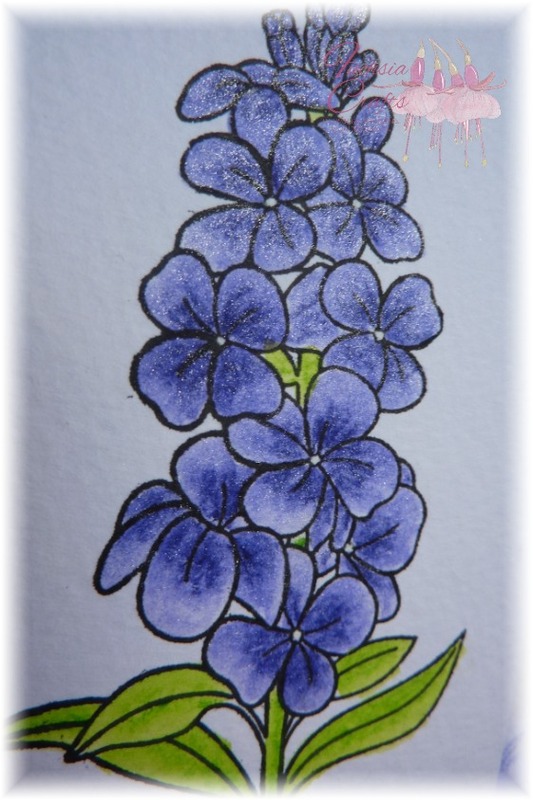 I stamped the Clearly Besotted flowers in Versafine Onyx Black ink, then watercoloured them with Inktense pencils, using my Wink of Stella pen instead of a normal paintbrush so they’d be sparkly rather than plain. You can see this a little better in the photo below, although I found it really hard to photograph as it was a very dull day here! 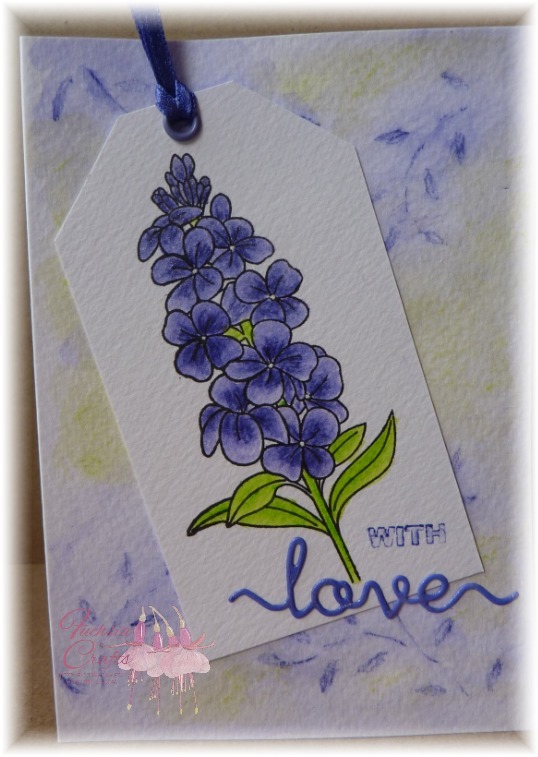 After several failed attempts at making a background, I finally settled on one created with Inktense pencils, colouring through an Imagination Crafts stencil in the Violet pencil then filling in the gaps in a green colour. The greeting was a combination of a diecut word (again, Clearly Besotted) cut from plain white card, coloured with Violet Promarker then given a touch of Wink of Stella again, and the word “With” (by Elzybells) stamped in Violet Promarker. See my previous post for the warning about stamping with Promarkers! 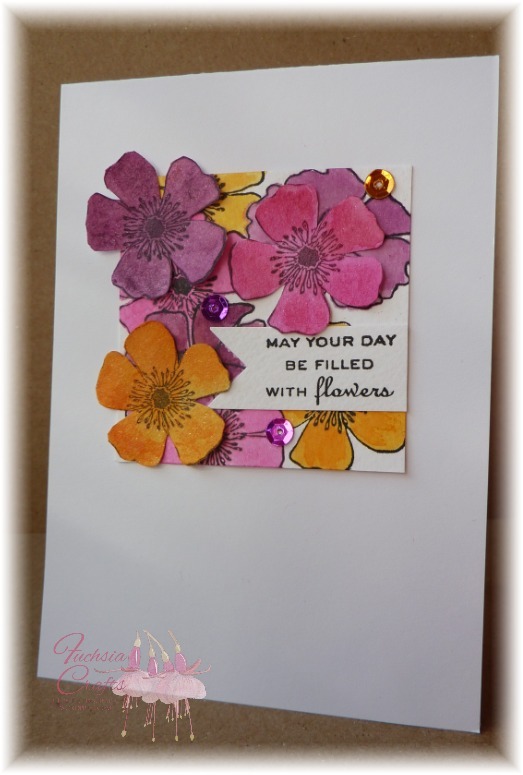 I’m also entering this into the challenge over at Simon Says Stamp where the theme is “Sparkle and Shine”. 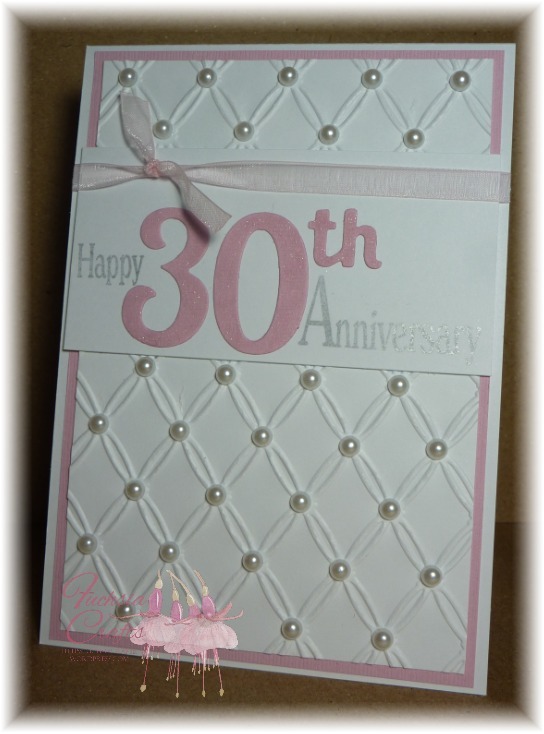 Stamping with Promarkers wasn’t the only thing which took me out of my comfort zone with this card; SO many patterned papers on one card – really not my style! But they’re all from the same set (“Here is Happy” by My Mind’s Eye) so at least I knew they were colour-coordinated. 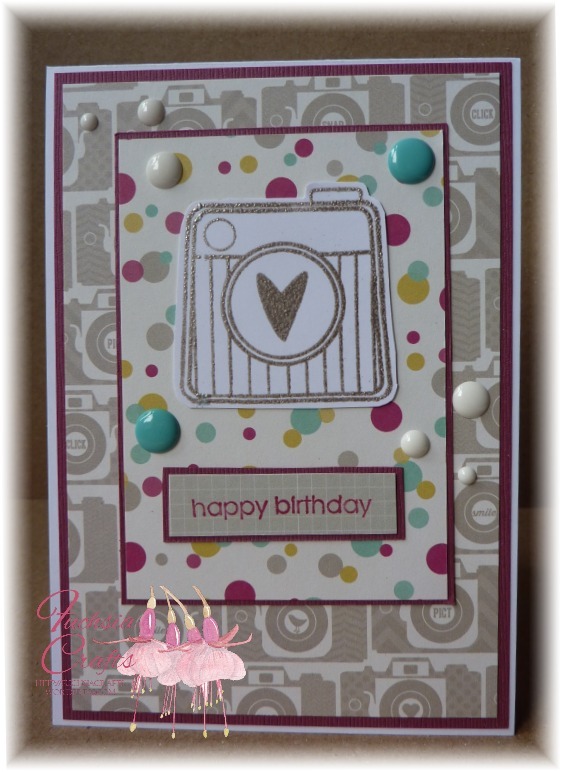 The card design is based on the latest challenge over at Your Next Stamp, and I thought I’d met both the colour & sketch challenges until I realised that the grey had appeared as taupe on my tablet! 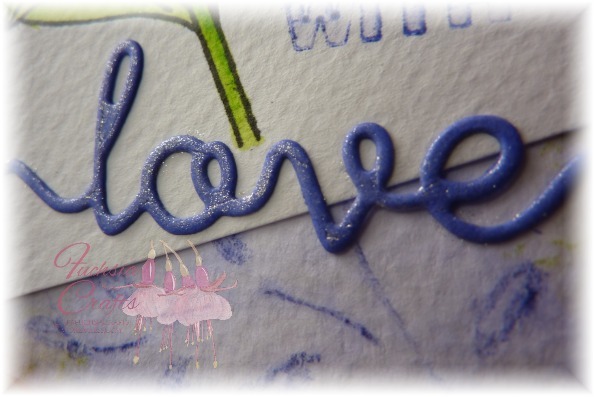 The image stamp was a freebie from Craft Stamper Magazine; although I had taupe ink which matched perfectly, try as I might I couldn’t get a cleanly-stamped image so I gave up & embossed it using Wow! Platinum embossing powder. The background cardstock is by Bazzill, the greeting stamp (with the afore-mentioned Promarker stamping) is from a long-retired set by Elzybells, and I finished it off with Doodlebug Sprinkles. Crafting has had to take a back seat just lately – a new role at work involving more hours has seen to that. 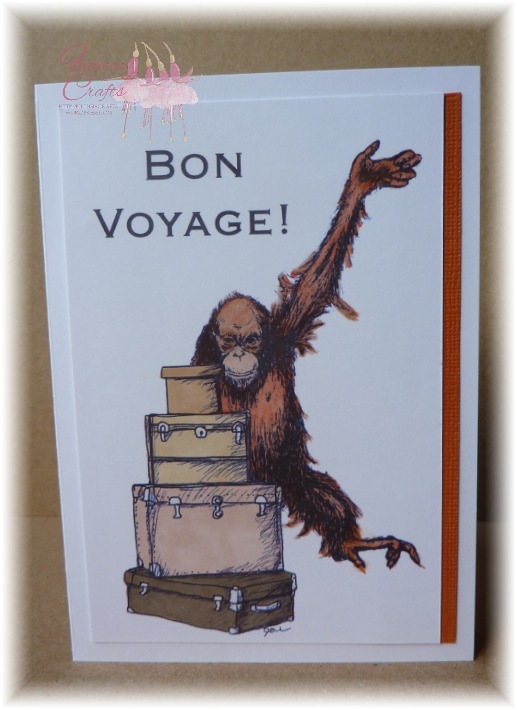 But a friend’s daughter is off to Borneo for a month at the end of the week so I rustled up a quick card to wish her “bon voyage”. She loves Borneo’s orang utans and this card turned out pretty much exactly as I’d envisaged. I combined two free digital images into one; the orang utan started out hanging from a tree but a little bit of photo editing made it – I hope – seem as though he was waving from behind the suitcases. I coloured both images with Promarkers, adding a little bit of shading with some cheap W H Smith colouring pencils. The greeting was a standard one in Craft Artist Professional. 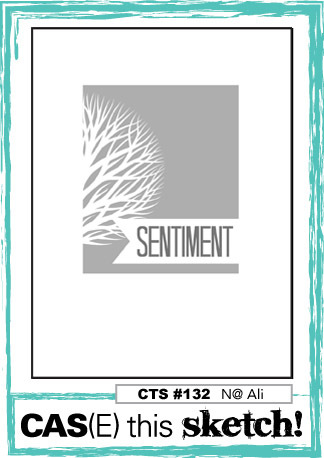 I’m entering this into the challenge over at Stamping Sensations, where the theme is “Feature a Creature”.